The summer of 2018 has seen a succession of announcements for investments and new projects designed to better understand and protect belugas. Because it is important to take the time to celebrate our victories, here is a summary of good news for St. Lawrence belugas. Last July’s amendment to the Marine Mammal Regulations of the Fisheries Act stipulates that a distance of 400 metres must be maintained when observing St. Lawrence belugas throughout the Estuary. Previously, this measure applied only to waters within the Saguenay-St. Lawrence Marine Park. The new regulations concern all types of watercraft – kayaks, motorboats, Zodiacs, sailboats, etc. – operated by professionals or recreational boaters. “For belugas, it’s great news,” says Robert Michaud, scientific director at the Group for Research and Education on Marine Mammals (GREMM). “By adopting such a regulation, Fisheries and Oceans Canada sends a clear message: Belugas need their space and the responsibility of protecting belugas lies with each and every one of us.” It’s also good news for other species: a minimum distance of 100 metres must be maintained between marine mammals and boats in all Canadian waters. In parallel, for a third year, the campaign “Show you care, keep your distance” is in full swing in the St. Lawrence Estuary. To limit disturbance during the beluga calving period, which runs from July to early September, awareness-raising activities are being conducted, including patrols at sea by Parks Canada and Fisheries and Oceans Canada. Teams meet with boat operators to discuss how they should manoeuvre their craft in the presence of belugas. In late July, the Government of Quebec announced a $2.1 million, 5-year investment for a research project led by the Université du Québec en Outaouais in collaboration with GREMM and Fisheries and Oceans Canada. This significant funding will help develop a decision-making tool to better protect the St. Lawrence beluga in a context where marine activities are being developed. The simulator will evaluate the impact of different scenarios of increased navigation on the risks of collisions with whales and the propagation of underwater noise. Data collected by GREMM and Fisheries and Oceans Canada over the past 30 years and that continue to be collected on the belugas’ social structure, diving behaviour, communication, habitat use, etc. will be used an input for the simulator and will help obtain better results. Since the Government of Canada announced its Oceans Protection Plan in November 2016, a large number of projects have been announced and initiated. One of Fisheries and Oceans Canada’s projects that directly affect belugas is the installation of 10 permanent hydrophone stations, i.e. underwater microphones, that will capture the soundscape in critical beluga habitat between Rimouski and Isle-aux-Coudres. These hydrophones will also provide a better understanding of belugas’ use of the area throughout the year. Currently, there is a lack of information on the distribution of St. Lawrence belugas in winter. “These stations will provide us with a completely new picture of beluga distribution. We will have multiple layers of information related to noise, communication, distribution, etc.,” says Yvan Simard, researcher at the Maurice Lamontagne Institute (Fisheries and Oceans Canada). 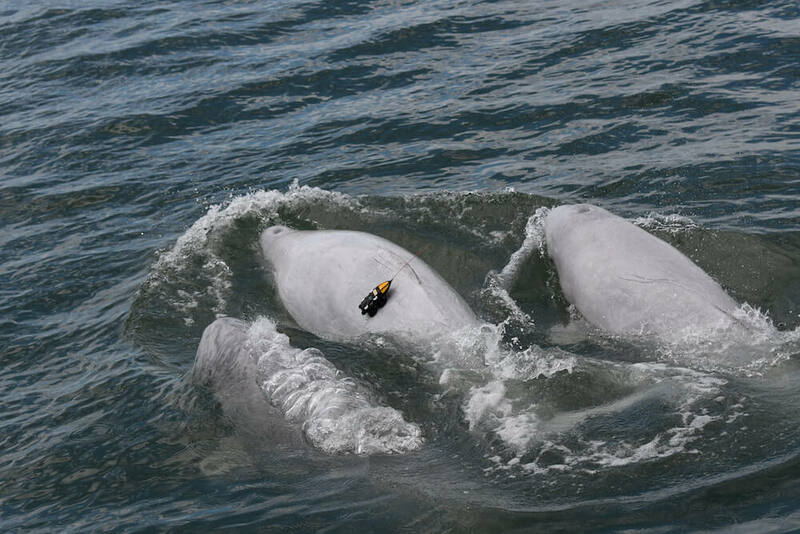 Another ongoing Fisheries and Oceans Canada project since the start of summer is to monitor belugas under water using data archivers called D-Tags, which record beluga vocalizations and ambient sounds, as well as information on depth, speed, etc. 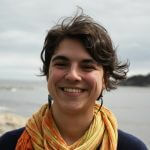 Véronique Lesage, research at DFO, will then look at the behavioural response of the belugas to noise. The data collected will also help feed the models developed by Yvan Simard and Clément Chion. Whalewatchers in the Estuary and Gulf of St. Lawrence, a network coordinated by Marine Mammal Observation Network (ROMM), now has about 50 vessels including industry vessels, ferries and pilots of the St. Lawrence. With all these pairs of eyes on the water, ROMM will be able to better understand marine mammal habitat use, including the belugas of the St. Lawrence. At the dawn of its 30thanniversary, the “Adopt a Beluga” campaign continues to bring St. Lawrence belugas into people’s homes. Since 1988, no fewer than 150 white whales have been adopted by local municipalities, citizen groups, scouts, students, individuals, businesses, stores… This summer, the restaurant chain Bols and Poké in Quebec City chose to adopt a beluga. The owner of the chain, Mathieu Villeneuve, explains: “We want to encourage the river in our own way and get people talking about St. Lawrence belugas.” The Saguenay Watershed Organization (OBV Saguenay) and the students of the Quatre-Vents Elementary School sewed capes for beluga plush toys, which they then distributed throughout the community to discuss the precarious situation of Saint Laurent belugas. To date, over 100 people have had one of these cuddly belugas in their hands and together raised over $1,250. Marie-Ève ​​Muller is responsible for GREMM’s communications. As Editor-in-Chief for Whales Online, she devours research and has an insatiable thirst for the stories of scientists and observers. Drawing from her background in literature and journalism, Marie-Ève ​​strives to put the fragile reality of cetaceans into words and images.